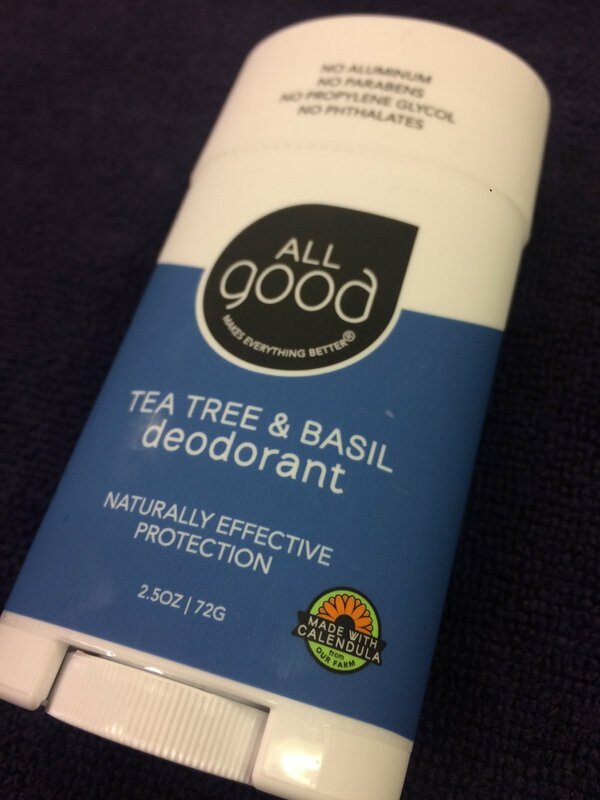 All Good deodorants use naturally occurring enzymes and essential oils to fight odor causing bacteria. Arrowroot powder absorbs moisture and dries underarms, while aloe vera and our homegrown calendula soothe sensitive skin. Nothing in these causes harm: all good ingredients, always. Ingredients: Propanediol, Water (Aqua), Sodium Stearate, Saccharomyces Ferment, Aloe Barbadensis (Aloe) Leaf Extract*, Calendula Officinalis (Calendula) Flower Extract*, Maranta Arudinacea (Arrowroot) Root Powder*, Pelargonium Graveolens (Rose Geranium) Oil*, Jasminum Officinale (Jasmine) Extract*, Salvia Sclarea (Clary Sage) Oil*, Rosmarinus Officials (Rosemary) Oil*.